MCLEAN, Va. and NEW YORK, N.Y. – October 29, 2009 – Two years after installing one of the cleanest power generating technologies available on its roof high above Avenue of the Americas, one New York hotel is now dissolving food waste with micro-organisms to reduce garbage volume. Hilton New York’s innovative approach to eco-stewardship is apparent as it marks its second year using revolutionary UTC Power fuel cell technology by introducing four new initiatives to reduce waste throughout the hotel. Just last week, the hotel was the recipient of the 2008-2009 Environmental Recognition Program – “Green Street” Award by the Avenue of the Americas Association. This new award highlights efforts to adopt environmentally sustainable programs or improvements to the workplace. Hilton New York received the award in the Energy Efficiency /Sustainability Projects category for “Buildings Over 1M Square Feet” in recognition of its energy fuel cell which reduces the hotel’s overall carbon footprint in the community. Organic waste decomposition system: To reduce the eight tons of wet garbage – the equivalent of approximately 5,000 meals – once produced on average at the hotel each day, Hilton New York catering and operations team members turned to science. The hotel’s new organic waste decomposition system distributed by BioHitech America, located in the hotel’s New York Marketplace restaurant banquet kitchen, enables employees to dispose of table and kitchen scraps into a unit the size of a chest freezer. Microorganisms and water inside the unit break down the food wastes into a disposable liquid that is ultimately returned back to the ecosystem via our existing drainage and sewer system. The digestion process, which has exceeded 100 pounds per hour, eliminates approximately 400 bags of garbage per day. Biodegradable guest room access key cards: Hilton New York is introducing a new room key made from biodegradable PVC supplied by Guest Access Int’l®, a pioneer in developing green products. Biodegradable key cards are part of the EnviroKeysTM line, a comprehensive program of environmentally friendly alternatives offered by Guest Access Int’l®. The biodegradation process begins when the bioPVCTM film is introduced into a fertile environment allowing the plastic card product to break down in as little as nine months. The hotel estimates that using the new biodegradable key cards will save 250 pounds of plastic from clogging landfills over the next five years. In addition to implementing hotel-wide sustainability initiatives, Hilton New York also enables eco-conscious guests to do their part for the environment. In August, the hotel began beta testing an opt-in housekeeping initiative to help guests minimize their ecological footprint at the hotel. The program enables guests to decline full housekeeping services for one or more nights of their stay in an effort to reduce water and energy consumption and the use of cleaning chemicals. 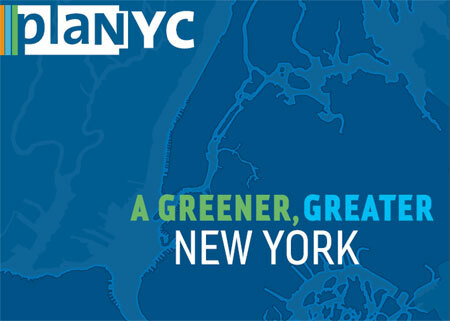 The bold steps taken by Hilton New York are part of Hilton Hotels’ global focus on sustainability. The brand is working to reduce energy consumption, CO2 emissions and output of waste by 20 percent and reduce water consumption by 10 percent before 2014. This entry was posted in Going Green and tagged Eco-Safe Digester, Hilton New York, PlaNYC on September 21, 2010 by BioHitech America. The machine is the Eco-Safe Digester high-volume organic waste decomposition system, an aerobic digestion chamber that processes food waste and, within 24 hours, spits it out as water that meets the standards for discharge through ordinary drainage systems. And with nearly three dozen of of them in place at hotels, restaurants, supermarkets and universities across the country, Allendale, N.J.-based BioHitech is thinking bigger. The Eco-Safe Digester come in three sizes, capable of processing between 400 and 1,200 pounds of organic material a day. By way of example, however, BioHitech estimates that a company throwing out 1,080 pounds of food waste daily and paying an $80 per ton disposal rate and a $200 haul charge per pickup could find the BioHitech system paying for itself in just under two and a half years. 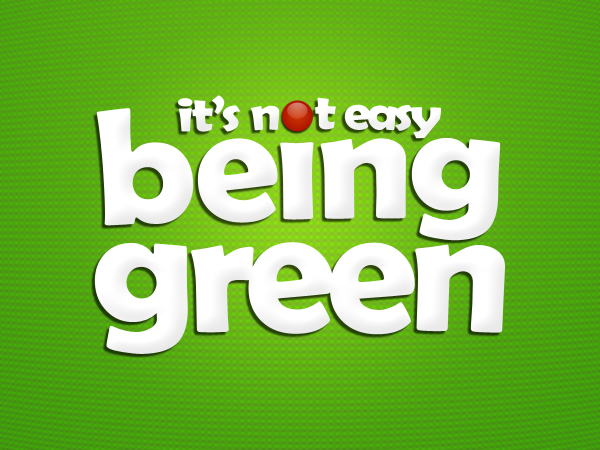 And in some cases, that waste reduction and its associated fuel usage can count toward U.S. Green Building Council´s Leadership in Energy and Environmental Design certification credits. Wood chips serve as the habitat for the microbial mix, which BioHitech recharges four times a year. The wood and any undigested or inorganic material are cleaned out every six months, though the solid waste leftovers are barely a pinch of what went into the machine in the first place. The effluent discharged from the digester is typically about 100 gallons for every 1,200 pounds of food broken down. Celli — co-founder and former head of Interstate Waste Services Inc. — joined the Allendale, N.J.-based company as a partner in summer 2008. BioHitech´s 2006 origins lie in an overseas partnership: South Korean scientest Chun Il Koh, who created the Eco-Safe Digester and the “microbial cocktail” responsible for the decomposition, was seeking an American company to bring the product to the U.S. Despite the company´s potential, BioHitech wrestled with start-up issues ranging from trouble-prone prototypes to lack of a technical support infrastructure. By the end of 2008, though, it had found its footing and launched pilot programs that offered its machines for trial runs. In November of that year, BioHitech earned the Innovations in Green Technology award at the International Hotel/Motel & Restaurant Show in New York and had more than a dozen of its digesters in operation. Celli estimates that by the close of 2009, between 40 and 45 machines will be in use across the country, representing a 150% jump from last year. And of the 35 currently in operation, only two are part of the pilot program. No pilot program participants have opted not to buy, rent or lease the system after giving it a try, Celli said. The 7,800-student University of San Diego installed the Eco-Safe Digester this year in its LEED-certified Student Life Pavilion. “We´re processing roughly 700 to 800 pounds of items a day,” said Andre Mallie, the university´s executive director of auxiliary services. Mallie said the machine has significantly reduced solid waste disposal and associated costs like trash liners, and it has garnered positive attention from customers and local businesses. Though Celli declined to specify BioHitech´s estimated revenue for the year, he backed off his projection of $7 million to $10 million published in a story earlier this year in The Record, a newspaper based in Bergen, N.J.
BioHitech America has six owners, of whom Celli is the largest shareholder, and nine full-time employees. While working to raise the product´s profile, BioHitech also is looking to improve its service offerings through the development of services like a software package by which a multi-machine customer such as a grocery chain could remotely access all of its units. This entry was posted in Technology and the Environment and tagged Cost Savings, Eco-Safe Digester, Machine to Machine Communication, Positive Environmental Impact on September 21, 2010 by BioHitech America. 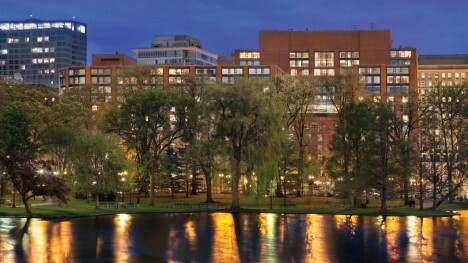 ALLENDALE, NJ/BOSTON, MA (April 7, 2009) – BioHitech America, LLC, a privately owned environmental technology company, and Four Seasons Hotel Boston, have partnered on the installation of BioHitech’s organic waste decomposition system. The GOHBio system will enable the hotel to dispose of their food waste at its point of generation, thereby eliminating all traditional steps of waste removal and disposal, including trash hauling services. Resultantly, greenhouse gases will be reduced, landfill space and fuel will be preserved, and their overall carbon footprint will be smaller. “I am delighted by our partnership with Four Seasons Hotel Boston. The GOHBio 1001 will enable the hotel to reduce their carbon footprint while reducing trash removal expenses and streamlining work flow efficiencies. My hope is that sharing in an environmental partnership with such a prestigious organization will bring awareness to alternative solutions to traditional waste services and encourage other organizations to take ownership of the sustainability of our environment,” commented Frank E. Celli, CEO of BioHitech America. This entry was posted in Going Green and tagged BioHitech America, Eco-Safe Digester, Four Seasons Boston, Reduced Carbon Footprint on September 21, 2010 by BioHitech America. Company’s steel ‘stomachs’ digest foods. In a chilly room crammed with boxed fruits and vegetables, Frank E. Celli popped open the hatch of one his company’s steel biodegrading machines and started tossing in bruised eggplants. He then stepped over to the side, where a drainage pipe carried a broth –like liquid from the bowels of the machine to its ultimate destination: a wastewater treatment plant. Celli, managing partner and chief executive officer of BioHitech America LLC, calls the machines “mechanical stomachs,” whose transformative power lies with a unique combination of bacteria. By having the technology on site, grocery stores, hospitals, hotels, and other clients can reduce storage of waste and save money on hauling fees. Celli’s recent demonstration was at a ShopRite in Hillsdale, which is using the largest model on a trial basis. Celli sells the technology as much on its environmental benefits as the potential cost savings. BioHitech America, the exclusive distributor for BioHitech Korea, has been in business for two years. Celli came aboard last spring at the request of the company’s founding partners, who distribute a technology created by Korean microbiologist Chun II Koh. Koh, who developed a cocktail of bacteria that break down a broad range of foods, had been interested in marketing his technology in the United State because of its large waste industry. Celli had worked in that industry for 20 years, co-founding Ramsey-based Interstate Waste Services in 1999. When the private company was sold to a private equity firm in 2006, it had grown to $150 million in revenue. Celli left with a strong sense that the country needed more waste disposal options. His partners at BioHitech sought someone with entrepreneurial credentials and a thorough understanding of the waste business form pick up to final disposal. Celli spent six months doing diligence on the South Korean manufacturer and its technology to ensure it could deliver on its promise. He wanted to be sure the machine maker could keep pace with demand while maintaining ethical workplace practices, Celli said. That led to a trip to Seoul in October to meet Koh and tour the company’s plants. He also had to be sure the end product could be safely processed by this country’s wastewater plants. The U.S.-based company’s initial business plan had some flaws, as did the equipment, Celli said. For example, when the early models became overloaded, their casters couldn’t sustain the weight. The machines, now in their eighth generation, have overcome those earlier problems, Celli said. The company sells three models, the largest of which costs between $20,000.00 and $40,000.00 and can process about 2,400 pounds of food in a 24-hour period. High water-content produce is digested most quickly, with a readout gauge that tells users when the weight capacity has been reached. Several clients use the machines for free as part of a pilot program – the hope is that if companies like them, they’ll buy them. 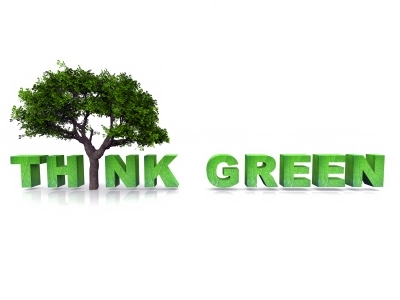 BioHitech has focused on markets where disposal fees run high to ensure clients get a good return on their investment. More than two dozen of the machines are in operation in the United States, including at supermarkets in New Jersey. One of the clients in the Grand Canyon Lodge-North Rim in Arizona, which feeds food waste from a full restaurant, deli, employee dining room and cafe into a model designed to handle 800 pounds a day. The company bought the machine last year, running it from its peak season from June through mid-October. The investment made particular sense because the lodge is so isolated, he said. The biggest challenge was re-educating staff members, but they’ve since seen the results. Through recycling and food waste reduction, the lodge has gone from nine to seven dumpsters, many of which only fill up partially. During said he estimated that the machine processed nearly 90,000 pounds of food during the five-month season. Celli next plans to investigate whether his company could collect the effluent produced by the decomposing machines reformulate it and sell it as all-natural fertilizer. But first the company will need to test the material and build the customer base for its machines. “We’d really like to see the technology become a standard part of the design process for supermarkets, restaurants and hotels,” he said. This entry was posted in Going Green and tagged BioHitech America, Eco-Safe Digester, Grand Canyon North Rim, Steel Stomach on September 21, 2010 by BioHitech America. Excess food waste contributes to an excess consumption of fresh water and fossil fuels, and a higher level of methane and carbon dioxide emission into our atmosphere. Research has proved that since the early 1970’s, food waste has increased 50% per capita, which breaks down on a caloric count of 1400 calories per person per day wasted. This suggests that the obesity increase in our nation may result in a ‘push effect’ of food availability, Americans are not able to match their food intake with the over availability of cheap food. This over supply of food energy can help curb the obesity factor and our food waste challenge. Food waste includes uneaten portions of food and food trimmings that are left over from kitchens, cafeterias and restaurants. Because of it low composting rate, it is the largest component of discarded waste by weight. Aside from prepackaged foods making up a tenth of the waste from food, fresh fruits and vegetables, dairy and grains are also thrown away. 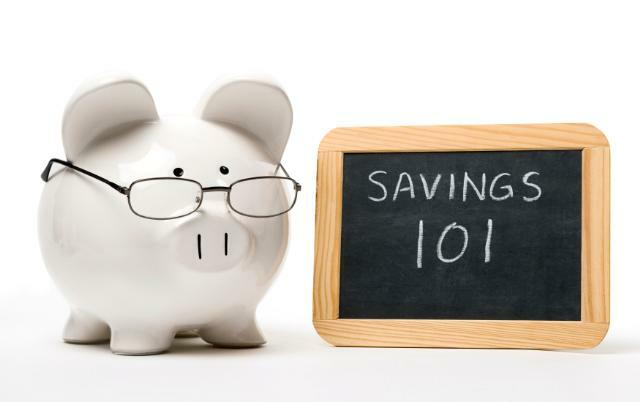 Write a list- preplan your shopping trips to help with the urge to overbuy groceries. Keep a healthy fridge- check the seals and temperature in the fridge for maximum food freshness and longevity. Don’t throw it away- make softer fruits into smoothies or pies, wilting veggies into soup. Use up your leftovers- find creative ways to incorporate your leftovers into tomorrow’s meal. Rotate food- when you go food shopping, put the newer food towards the back and the older food towards the front. Serve small amounts- most people won’t clean their plates, encourage everyone to come back for seconds, and if there are leftovers you can use them on a different day. Freeze- freezing breads help lengthen its lifespan. Turn it into garden food- waste is inevitable, so why not compost as much as you can. Fruits, vegetables break down into rich nutrients for the soil. In a few months, you can sprinkle it on your garden or flowers. This entry was posted in Environmental Concerns and tagged Eco-Safe Digester, Food Waste, Food Waste Solution on September 17, 2010 by BioHitech America. When Valley Hospital in Ridgewood, NJ set out to change the way their food waste was impacting the environment, they selected BioHitech America’s , Eco-Safe Digester, a food waste “digester,” as a solution equipped to manage this change. “We were looking for a dynamic solution which was both productive to the environment as well as ‘budget-friendly.’ The Eco-Safe Digester not only met this criterion, but unlike, composting, eliminated “bagging and dragging” rituals associated with traditional waste management protocol,” said Howard Halverson, Director of Environmental Services of The Valley Hospital. “After the food industry, U.S. hospitals are the second largest generators of food waste. Of the 6,600 tons of waste generated daily by hospitals, 17% of that is food waste.” 1 The EPA strongly advises organizations that generate high volumes of food waste to find ways to divert their waste from landfills. The Eco-Safe Digester, distributed in the U.S. by New Jersey-based BioHitech America, provides organizations that generate high volumes of food waste a sound economical solution to the EPA’s call to action. “We assessed the impact our waste was having on the environment. We realized that taking ownership in the way we managed our waste was mandatory,” explained Halverson. “Installing the Eco-Safe Digester has eliminated our food waste from the solid waste stream and, as a result, reduced the overall volume of waste going to landfills. The fact that the solution also trimmed our hauling bill by 20% is icing on the cake,” continued Halverson. The Valley Hospital is leading its industry as one of the first hospitals to install the Eco-Safe Digester technology. The award-winning technology is an aerobic digestion process that uses proprietary microbe technology to liquefy food waste in less than 24 hours. The process is realized in a steel chamber that has similar aspirations to a living stomach. “Using the Eco-Safe Digester cuts out an entire segment of the traditional disposal process,” says Mike Franco, Vice President of Sales at BioHitech. “Kitchen operations, once burdened by time consuming waste management protocol, now have more time to dedicate to customer-related tasks and to issues more relevant to the bottom line. Employees spend more time working, not wasting,” continued Franco. Instead of using big, fuel-burning garbage trucks to deposit food waste into landfills where it takes up space and creates harmful greenhouse gases, the Eco-Safe Digester sends waste down the drain into sanitary sewer systems where it is safely processed and released back into the ecosystem as water. The result for the end user is not only a smaller carbon footprint, but also a smaller waste bill now that the waste is processed on site, versus being hauled away by a carting service. “The benefits of the Eco-Safe Digester to the environment cannot be reckoned with; however, the benefits span way beyond the environment. Not only does the technology reduce potential for injury as employees “journey” the wet waste to what feels like the center of the Earth on some days, but it provides a more sanitary workplace for them. As a hospital, sanitation is a top concern to us,” proclaims Halverson. The Eco-Safe Digester became a part of The Valley Hospital’s operation in October 2009. The transition from “hauler” to the “digester” was seamless. Within days of installation and training, the Eco-Safe Digester was embraced as a team member further serving to unite staff and management across the board at a very fundamental level–pride and enthusiasm in the “green” initiatives of their organization. “As with any new process, after the learning curve the operational logistics of the Eco-Safe Digester shifted into autopilot, and the benefits of the system became what were observed, not the day-to-day operational protocol,” says Halverson. Accordingly, BioHitech’s training program doesn’t end until all staff is comfortable and proficient on all levels of system operation. An in-house “coach” from BioHitech is assigned to each new customer to ensure successful acclimation of product into each unique infrastructure. Carey, Lisa. (May 14, 2010). Eliminating the Wastefulness of Medical Waste with Environmentally Friendly Alternatives. Retrieved May 14, 2010 from the Associated Content:http://www.associatedcontent.com/article/2999610/eliminating_the_wastefulness_of_medical. This entry was posted in News and tagged Eco-Safe Digester, On-Site Solution, Valley Hospital on September 17, 2010 by BioHitech America.